The online food delivery service Foodora expects it’s operations to continue smoothly year round. That means when a customer makes an order on the app, one of its couriers must travel to the restaurant and get the food to where it needs to go. 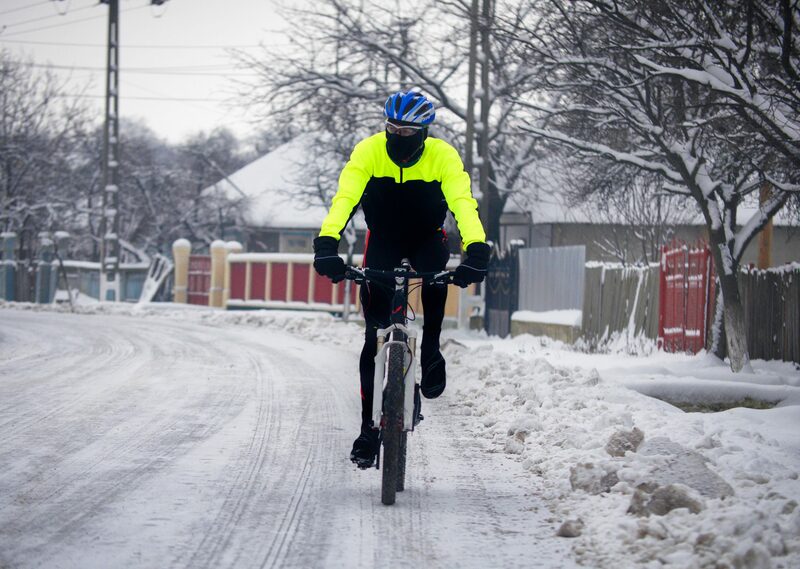 Often that will be done by bike, and during the winter months snow, cold and ice makes that job a bit trickier. With it’s couriers out on the roads in all weather during the winter, Foodora’s Toronto-based head of rider management Alex Paterson has an important responsibility. He must make sure those working for the service are prepared for the conditions and well educated to take the necessary precautions on the roads. Knowing how to ride in winter also helps Foodora’s couriers work comfortably so operations run smooth. Getting your bike winter ready requires a few steps. Paterson says the main thing he tells Foodora riders is to choose the right tires. “We suggest a bike that is prepared for the snow with a reasonably large set of tires for a wider contact point. A softer compound, knobbier tread and low tire pressure,” he says all will help ride through the winter. 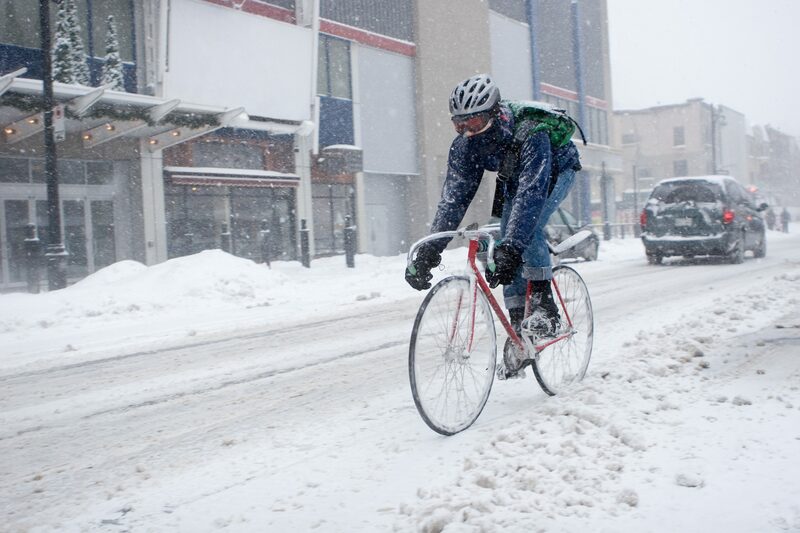 You can also use these six ways to winterize your road bike on the cheap. A good set of lights is also essential because of fewer daylight hours and reduced visibility with snow or gloomy conditions. While main arteries are sometimes the ones best cleared following a snow storm, taking quieter roads can keep you away from busy vehicle traffic. “Ride in a safe and alert manner always aware of your environment. You shouldn’t push yourself into conditions that feel unsafe,” Paterson said. 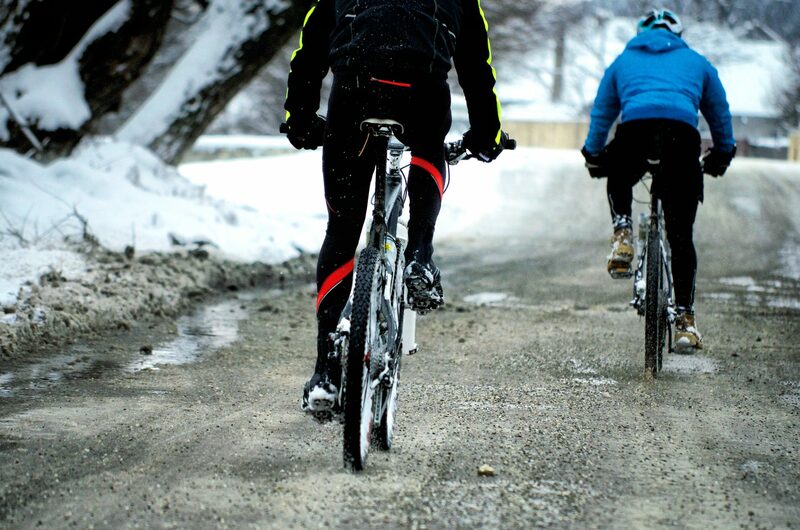 Grit, snow and ice can get pretty bad on a winter bike during just one ride. Ideally storing it inside is possible but if not, Paterson suggests using a brush and cloth to wipe the bike down before leaving it. Slush can freeze and make riding it next time really tricky. Rotate the wheels and drive train to clear it of ice or debris that’ll wear down parts. “Give your bike a wipe down before parking. Lubricate it at least weekly but every night if possible. Lube contact points and your lock so it doesn’t get stuck in the cold.”Use wet lube for the chain and apply frequently. If there is a problem, Paterson says it’s vital to address it as soon as possible.